This is a 19th century German still life painting by Johann Amandus Wink. I have always been curious as to why painters of that period usually added a mouse! It seems as though mice were in many interior paintings of that period. While I think certain mice are cute, they are never “cute” when they are in my house. Maine seems to be the place where we have the most trouble with mice. I decided to turn my annoyance with mice into this story for my grandchildren. These are some of my beaded pocketbooks. They are known by other names, but I like "pocketbooks" because it indicates that it is small. I'm not sure it would be popular today since cell phones are too big to fit into a pocketbook....maybe that's why I like pocketbooks! It does harken back to a simpler time. Because I enjoyed doing small pieces, I decided to call my series back in the 1990's through 2003, Pocketbook Needlework. After awhile though, I started adding bigger projects to Pocketbook Needlework like four more Sampler Stockings (11 through 14), reprinting my Sampler Wreath, as well as new things like several large samplers. I just couldn't help myself! I hope you will enjoy the reintroduction of my Pocketbook Needlework series. 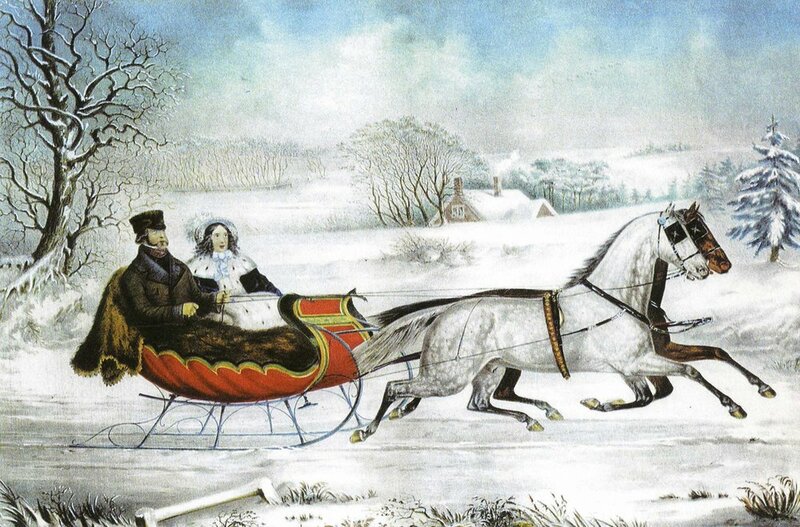 Currier and Ives prints have long been a part of the sentimental pictures people have collected and hung on their walls for over one hundred and fifty years. Mr. Currier began his business in 1840. He and Mr. Ives, his partner, described their business as “publishers of cheap and popular pictures.” This is not exactly the way people would advertise their business today! The firm provided seven thousand five hundred different titles and over one million prints during their tenure of production.The topics ranged from disaster scenes to puppies and kittens. They created anything that would have been of interest to the general public. Although most Currier and Ives prints were hand colored in house they also offered uncolored prints with instructions for coloring. These prints were bought by individuals and schools to teach the art of coloring. It is with this in mind that I am offering my uncolored Portraits of Deliverance coloring pages and ornaments. The Portraits of Deliverance book which I created is all hand colored by me and will show you the way I colored each story. This could be a wonderful family project, homeschooling lesson, or even Sunday school lesson (many lessons if you do one page of coloring per lesson). All of these coloring pages are based on my Days of Advent Sampler. All are pictured in my FEATURED WORK.